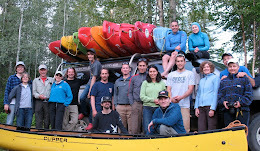 Kayakers living in Prince George are some of the luckiest in the world. We have access to world-class rivers in four directions from our doors. 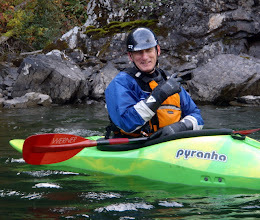 One of my favourite things about kayaking in northern BC is the opportunity to explore new rivers. We have tons up here. Here is information on one that we've been talking about for awhile now. 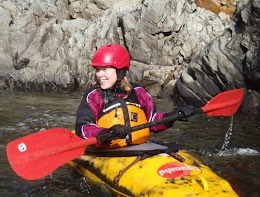 I am putting this information up for anyone interested in exploring new rivers in the area. Please heed the disclaimer. If you paddle down this run, please drop us a line and send some pictures/video! Everything below is available in pdf. Click here for it. Click on any of the maps for a larger view. Access will be the issue here. The shuttle will be long, as you have to drive down the Hungary Creek FSR – Tumuch FSR – Dome Creek Cutoff FSR to get to the put-in, and then you have to return to Highway 16 East and travel towards McBride to get a vehicle to the takeout on the Dome Creek Road. Take a look at the roads in the Northern BC Backroad Mapbook. The put-in is accessed via the same roads to get to the Vineyards hike. The take-out is accessed via the same roads to get to the Dome Mountain hiking trail. This creek has been talked about as a potential kayak run for some years now. A buddy flew it in a helicopter and reported continuous grade 4 rapids. He didn’t see any logjams, but that doesn’t mean anything (see disclaimer below). FishWizard says there is an 8km fish-passable canyon, so there are likely no big waterfalls. The Dome has pretty good volume where it crosses the highway. Google Earth has low-res photos over the area. Looking at the gradient profile (see below), there is a steep section (270 fpm) in the first kilometer, and then maybe another steep section around 6km into the run. Overall the gradient is similar to the Lower Dore. The detailed topo map (below) shows an abandoned cabin on river left around 3.6km into the run. ** Caution: FishWizard says there is a man-made log weir 1-2 km upstream from the highway. This is only an issue if you decide to float out to the highway (not recommended) instead of taking out at the gravel pit. If you want the full sized topo maps for Dome Creek (1:50000 and 1:250000), e-mail me at hgriesbauer at hotmail dott com. They are about 1.5mb each. Click on any of the images below for a larger one. The first one is a detailed topographic map. The black and white images are satellite photos of the put-in and take-out with roads in red. The gradient profile is at the bottom.